The popular 1970s TV series "The Waltons" has roots that can be traced to show creator Earl Hamner Jr.'s 1961 novel "Spencer's Mountain" and this 1963 movie based on it. The novel and "The Waltons" series took place in the Virginia Appalachians, but for this movie the location was moved to Wyoming as the filmmakers felt that its Grand Tetons provided a more visually impressive backdrop. Henry Fonda stars as Clay Spencer, whose grandfather 100 years prior had settled himself in the area, naming it Spencer's Mountain, and generations of Spencers continue to live there. (There's no mention of any land ownership disputes or big purchases, it's just accepted that he was the first human to settle there and claim it.) It's a rather isolated rural community, and it's a bit difficult to tell exactly when this movie is supposed to take place except for the appearance of a gravestone showing a family member's passing in 1959, which then would make sense to place this in the time the movie was released. 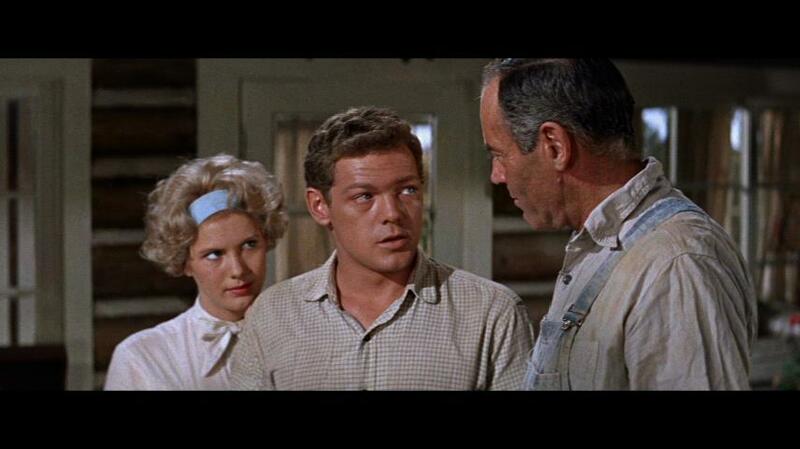 Clay lives in a log cabin with his wife Olivia (Maureen O'Hara) and their nine children, the oldest of which is Clay Jr (James MacArthur), known as "Clayboy" (the obvious inspiration for The Waltons's John-Boy) who is about to graduate from high school. The town has a quarry which is the main place of employment for the population, and it's generally assumed that those who grow up in the area will end up working there- but the job doesn't exactly require a lot of intelligence and those close to Clayboy feel that he's capable of much more than that. They feel he should go to college in the nearby city and really make something of himself, but as smart as he is the competition for admission is a bit fierce and the family cannot afford the tuition on top of that (despite having an apparent wealth of real estate acquired for practically nothing). Still, the main focus here is finding a way to get him into college one way or another. Several sub-plots play out alongside this. One of the big conflicts is that Clay Sr. is a bit of a free spirit, fond of drinking, gambling, cursing (as much as the movie industry's Production Code of the time would let him at least) and not at all religious. His wife on the other hand is a devoted church-goer and wants to raise their children as "good Christians" also. This begs another question from critical viewers- how exactly did these two get together in the first place? Regardless they seem to accept each other as they are and are otherwise devoted to each other. 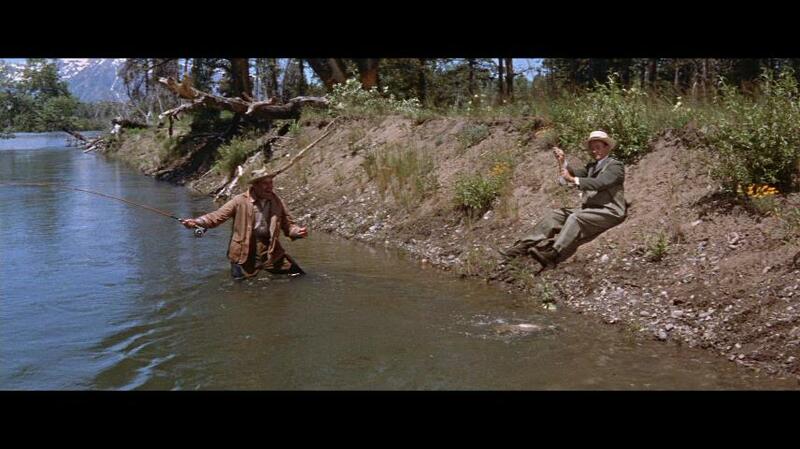 A rather humorous episode plays out with the arrival of a new minister (Wally Cox), whose first conversation upon arriving is with Clay as he's drinking and fishing. Being a bit naïve he accepts Clay's offer of a drink and ends up drunk by the time he's introduced to the rest of the town, disgusting the population and causing his first service to be to an empty church. Clay realizes that this is his fault though and makes this right in the end. As for Clayboy, he's also a bit naïve and MacArthur plays him a bit like a TV sitcom character of the era, but two girls in town practically throw themselves at him- particularly Claris (Mimsy Farmer), a long-time friend of the family. She's already spent one year in school out of town and has come back with some modern ways of thinking that shock Olivia (when she's discussing childbirth rather matter-of-factly as she helps with the dishes.) She seems to want to teach Clayboy a thing or two as well, even flat-out saying "let's make love" at one point and later planning their future together. The Spencers' other children are much younger than Clayboy, and he's expected to help with raising them which further drives him to escape off to college by the end of summer. Our veteran reviewer Stuart Galbraith IV reviewed Warner's intial DVD release of Spencer's Mountain calling the script "sincere but saccharine" and the characters "homogenized nearly to the point of nausea", but going into this movie myself I had already expected that sort of flavor and found it quite watchable and entertaining. It's one of those movies that keeps your attention from beginning to end with simple old-fashioned storytelling. 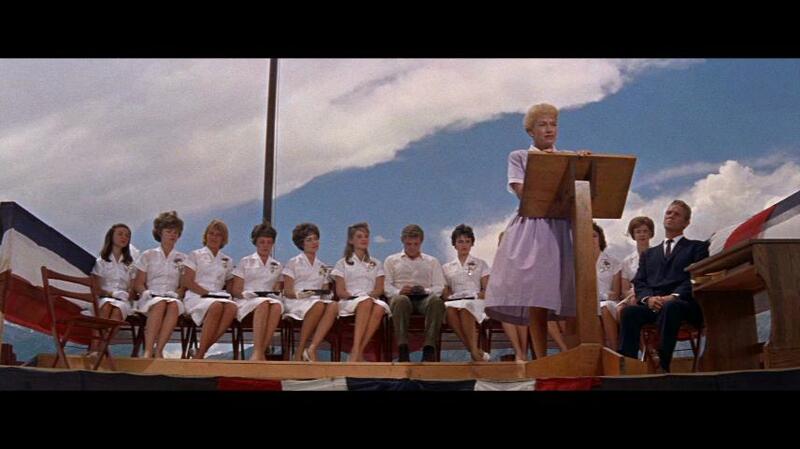 Warner Archive's Blu-Ray presentation looks just like a good film print, nothing more, nothing less. The 2.35 framing (which probably looked great on a proper wide theater screen) captures the majesty of the surroundings, with a bit of grain and a generally dirt-brownish color tone throughout. Audio isn't spectacular but quite adequate here, a mono track produced with RCA equipment and encoded on disc in 2-channel DTS Master Audio, remaining properly centered. There isn't any noticeable background noise but fidelity leans a bit towards the lower side. Hearing-impaired subtitles are included, which appear to have been taken from standard closed-captions done for the VHS release with most text in all caps. A 1963 featurette, in 4x3 black and white, presented in standard-def here but looking very clean showing the production of the movie in the small Wyoming community and its star-studded premiere at a local theater (which seems to have kept showing first-run movies up until the end of availability of film prints, and has since been converted into a pizza restaurant) puts a nice perspective on the town's reaction to having a rather big movie shot in their isolated area. There's also a few minutes of black and white filmed interview footage of Henry Fonda, joined by a smoking James MacArthur in one clip, where he talks rather candidly about filming on location. A hi-def transfer of the theatrical trailer is also included, which gives away far too many surprising moments. 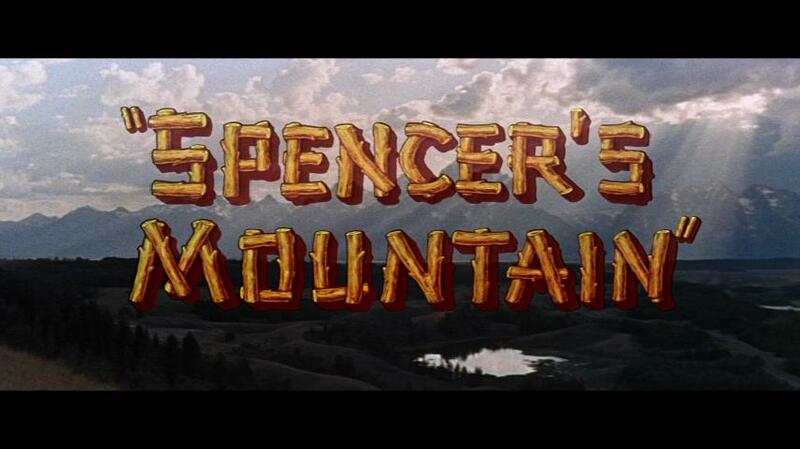 Spencer's Mountain is a rather simple story about simple folk, but the dialogue and performances balancing drama with humor easily hold your interest and is a great example of a "quality film" being a good antidote to some of the more overblown movies of recent years.